3 Lucky winners win beautiful dresses from SammyDress !! A Lucky winner win $30 Gift Voucher from Chicnova !! I love all the dresses shown in the pictures. But I an drooling over the blue maxi dress. Its beautiful and elegant and can be carried well on any occasion. About Sammydress.com its the site which deals with the great clothes with such a reasonable prices. The quality they provide is awesome and the delivery time is also very less. My Email Id is -> jennifer.indore19@gmail.com . 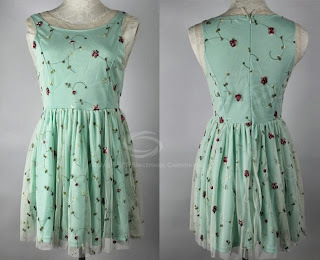 The thing I Liked the Most about Sammydress.com is Uniqueness . There is something soothing for each taste. Sammy Dress is so awesome! I love this website, super cute items, for a WONDERFUL price. And they're great quality! Sammy Dress is the best! Sammy Dress is a site where you can find everything you need to be elegant, chic and beautiful!every woman who dreams to wear amazing clothes and not forto expensinve, must go and check this online Shopping! Done all the steps, Following u on GFC, Blogowin..
Just love to see all the creations by SAmmydress.. It will make any girl look beautiful n make them feel complete..
Love this giveaway! I am entering dear! Sammydress is such a great online site that I think features some of the best selection of fashion trends today! I love their variety and the amount of items to choose from! Review: Lovely shop with wonderful prices!I wish I win the giveaway to see the quality of clothes and the shipping! Such a great giveaway! I've never tried any dresses from sammydresses before so I would love to win a dress! those dresses are beyond awesome! i like the first one! SammyDdress.com is a great online fashion store, where we can find tons of products with amazing quality at the best prices, suiting all styles, from casual to a more sophisticated look! I love all dresses, and the price is amazing! The SammyDdress.com is a good online fashion store for anyone who looking for clothes with quality. omg the first navy dress is beautiful ! What a cool selection of dresses!!!! Hope you had a great weekend!!!! I love the dreeses... they are really amazing....and i love to have one....the collection which yu have is just marvellous...Wearing your dress one can go head over heels...!!! Very nice dresses. Great day. Great website, many items are on my wishlist! Sammydress, for me it's a one stop solutions for my all shopping desires as they offer a wide range of products in several categories and my favorite is Dresses section. I just love the collection. A dress for every occasion and style, starting from party wear, casual, long, maxi dresses, short dresses and my favorite lace dresses. i can't totally bank upon them for what all i need. The website is user-friendly and it's so easy to place an order there. The another aspect of shopping with sammydress is weekly deals which offers many schemes to shop at affordable price.Browsing the bags/boots/ dresses/watches/beauty deals every week is such a nice experience so enjoy it all and indulge in shopping with benefits :) and also not to forget to browse there free shipping section. When i am talking about sammydress i am sure to tell you about there products quality. They have such nice products which are value for money. i found the same dresses and products on other sites too but at much higher rate so they are best dealer in my opinion. Sammydress updates the new arrival section very frequently so that we as a customer can find all the latest trends and stay fashion updated. Currently, i am loving the fall arrival. I always find something unique and stylish whenever i head to the site and it is a happy shopping experience for me. sammydress is best site for online shopping.Its lovely n awesome collection.Its unique n latest fashion design, i m just love in it. I have the Charming Polka Dot Scoop Neck Sleeveless Cotton Vintage Dress. I don't know how the rest of the sammydress products are but this one have a great material, soft, very good made it. Sammy Dress is best site for online shopping :) Lovely shop with wonderful prices. I love cute SammyDress clothes. The girly and pretty patterns, lovely colors, stylish pieces at great prices. Definitely one of the best online shops! I love Sammy dress they have super cute stuff! Sorry i dont know what is GFC...I asked u dis in comment also here but no rply so I am sharing My bloglovin name & Id. All I can say about SammyDress.com is they have a fab collections of clothes,accessories etc.And of course one thing I like to them is the items is so affordable. What I love about Sammydress.com is the variety of awesome and super stylish dresses they offer at very reasonable price. its a heavenly experience to shop on their site. 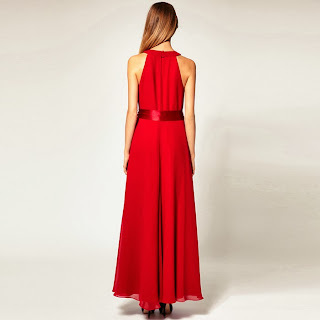 If we choose a perfect dress for an occasion, we will always look beautiful no matter which style of dress we choosewomen always want to look beautiful because they feel First impression is the last impression and they want their first impression should be good. as a woman i can say that sammydress is a good option to shop because they gives you a huge range of dresses to choose from, affordable price. you can sit, scroll & choose the dress you want & it will be at your home. SammyDress.com has a fabulous selection of trendy and fashionable clothing at very reasonable prices! I love much of the dresses, there is something nice for every woman :)And the prices are really great! Sammy Dress has great afordable prices and cute outfits! Fingers crossed! I absolutely love Sammy Dress and their clothing. My favorites are their jackets and coats :) My fav one of the dresses is the yellow one! Sammydress.com has the most awesome collection of apparels. Their collection is trendy, fashionable and attractive. Their apparels suit the tastes and preferences of all people. Their designs, colour combinations and sense of fashion are remarkable. And I feel like me everyone wish to have a few Sammydress clothes in their closet. Its my dream that someday I will be able to flaunt a Sammydress clothing of my own. Hello, my name is Aída Jordán Andrade and my email is aida.jordan29@gmail.com. I love how affordable Sammydress is, yet it's still good quality! There's a style to suit everyone, and it's something I won't find many people in my neighborhood wearing, so it makes me stand our from the crowd. None of that mainstream chain store stuff, just really adorable outfits thanks to Sammydress. I follow on Bloglovin' (noorrr). I love how Sammy Dress has a style for everyone, and that it has a mobile website and an app, which is really convenient for people who use their smatphone a lot, things from the webshop will be more interested that way. they have such great cloth in such great prices! love them! I really like all the great clothes from this company -- they also have free shipping! Sammydress is an awesome website. I love each & every product of their website. All the items are trendy, classy & attractive. Its a best shop for buying clothes & accessories. 1. The fact that they have such an affordable collection that they can give other online stores a run for their money. 2. The clothes are classy & great material, you get just what you see. My friend is a happy customer since 1 yr! 3. The pics that they click are beyond perfection, i mean i haven't seen anyone else combine fashion with nature, it's just so innovative & unique. 4. The are VERY polite & sweet they don't behave rudely even if you cancel an order. Thats why for me this store is precious and me love it .